The OFFICIAL YouTube channel for Ubisoft's Just Dance 2015, Just Dance 2014, Just Dance 4, Just Dance 3, Just Dance 2, Just Dance, Just Dance Summer Party, Just Dance Kids 2 and Just Dance Kids. 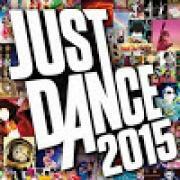 Here you will find gameplay videos of all Just Dance songs on Nintendo Wii and Microsoft's Kinect for Xbox 360. You will find songs from Katy Perry, Justin Bieber, David Guetta, Nicki Minaj, One Direction, Jessie J, Ke$ha, Pitbull, PSY, Olly Murs, Far East Movement, The Black Eyed Peas, LMFAO, Rihanna and more!